Karen Gillan has described filming Doctor Who as an "emotionally draining" experience. 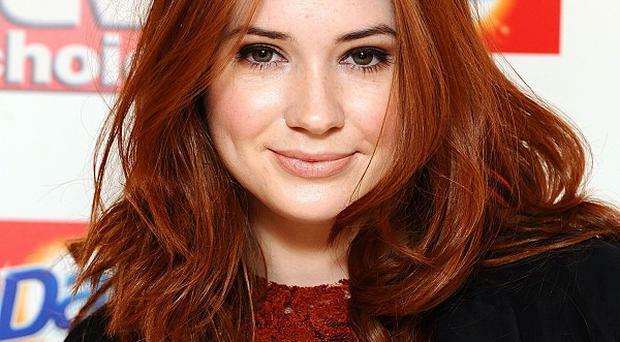 The Scottish actress, who shot to fame as the Doctor's assistant Amy Pond, said she was looking forward to changing her character in the next series of the BBC sci-fi show. She said: "I think that she's a completely different person at the end of the series to when we meet her, when she's really quite odd and a bit messed up in the first episode." The 22-year-old added: "I think she's much more kind of in tune with what she understands about herself mostly and the Doctor by the end of the series. And she's been through a lot in the series. "It's been pretty emotionally draining. Just all the stuff when she was crying and she doesn't know why she's crying - that was quite a challenge. But I think there's a lot more to come in the next series. I really want to just keep on developing her character and I want her to evolve and change lots." The star was speaking as she signed boxes containing a five-inch version of her Doctor Who character along with posters for more than 200 fans at toy store Hamleys in Glasgow's St Enoch Centre.